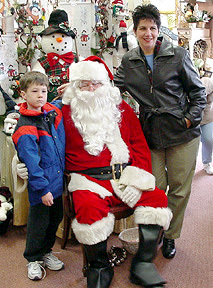 Santa Claus visited the North Pole Workshop at the Circle in Hasbrouck Heights, NJ on Sunday, November 19, 2000 between 10 a.m. to 5 p.m. 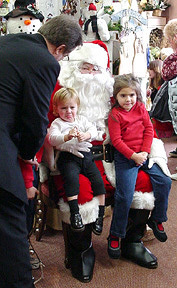 Along with his many elves, Santa wase available for photos and to talk with children. Jukebox Radio 103.1FM broadcasted live from noon. 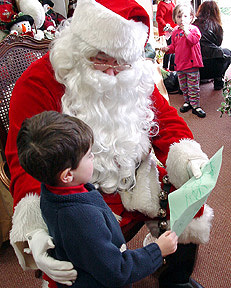 to 2 p.m.., and provided on-air interviews with Santa Claus as well as their guests and visitors to Santa's Workshop.